In the 21st century, the beauty industry is relying on video more than ever before. Video continues to be one of the most important ways to market your brand, and the beauty industry has taken this concept to heart. But why exactly has video become so important in this realm? Our product videographers are here to tell all. 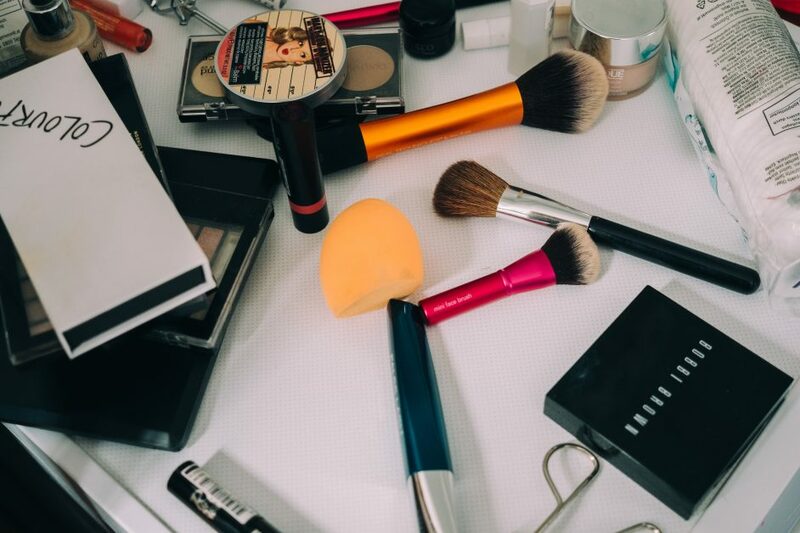 Learn more about the increased reliance on video in the beauty industry, and count on our beauty video productions services to not only keep up with the trends, but to help your brand stand out. People want to see products in action. Spend even a few minutes browsing on YouTube, and you’re guaranteed to run into the makeup videos and tutorials that have dominated social media in recent years. New beauty products are being launched with such vigor and enthusiasm, and so much of this is because people can’t wait to see what the products look like and how they’re used. In the past, consumers had to hope for the best with their beauty items, whereas now it’s easy to see not only what the finished product looks like, but how to properly use it as well. Beauty products are more publicized and more accessible. Building off of that last point, people usually learned about makeup items and other beauty products in one of the following ways: reading about them in a magazine, seeing them in the store, hearing about them from others, or watching a commercial. All of these methods of learning took time, if any learning about the beauty products was able to take place at all. Nowadays, beauty product purchases have almost become like buying a car or staying at an Airbnb. People read the reviews, and try to get as much information as possible before investing into a beauty product — and truly, beauty products have become an investment. Video has paved the way for spreading information about all the latest foundations and highlighters and everything in between, making it easy for people to learn and building confidence in where they’re spending their money. There’s a desire to keep up with trends. Because everything in the beauty industry has a lot more face time (no pun intended), trends and product launches become more visible and widely spread. When Fenty Beauty by Rihanna released, everyone was talking about it. More importantly, everyone was watching whatever they could on this newest line — videos created by reviewers like Jeffree Star had more than 10 million views. The millions of people watching these videos weren’t just trying to learn about Fenty Beauty, they were trying to see if it was a trend worth getting on board with. Videos put beauty trends up at the forefront of society and culture, and videos also make these trends easy to share and spread like wildfire. Videos are easier to share and convert better. As mentioned, seeing an ad in a magazine for a new lipstick or just happening to watch TV at the moment where a beauty commercial isn’t usually enough to encourage someone to make a purchase. But share a video that showcases a brand or reviews through text, email, or social media messaging, and it’s so much easier to access and stay up-to-date on what the newest trends are. Plus, videos that link to a purchasing mean sales are exponentially more likely. Videos have created beauty icons. The aforementioned Jeffree Star, Jonathan Van Ness, the Kardashians — these are beauty icon names known by millions and hundreds of millions, which is especially impressive considering this type of icon scarcely existed, even a decade ago. Videos have not only helped brands show off their products, they’ve created people who live for the beauty industry and bring millions on board with them. Without those makeup tutorials and product test/review videos, the beauty industry as we know it would not exist. Beauty icons have served as a bridge between manufacturer and consumer, and videos have made this bridge possible. Product videography makes beauty products more stunning. What’s more aesthetic and intriguing: a stationary, two-dimensional picture of a beauty product, with no documented process or real-life, untouched photo? Or a video that shows exactly what the product is, what it looks like, how it’s used, and how it looks? With the right product videography, brands can better demonstrate the value of their beauty line. It’s easy to go on and on about how the beauty industry has made the gains that it has because of video. After all the evidence, the fact remains that when it comes to beauty brands and products, video makes all the difference in sales, trends, and more. With the right product videography team, your brands or products can truly take off — BTP Media can take you there. Contact our team to get unparalleled beauty video production services!